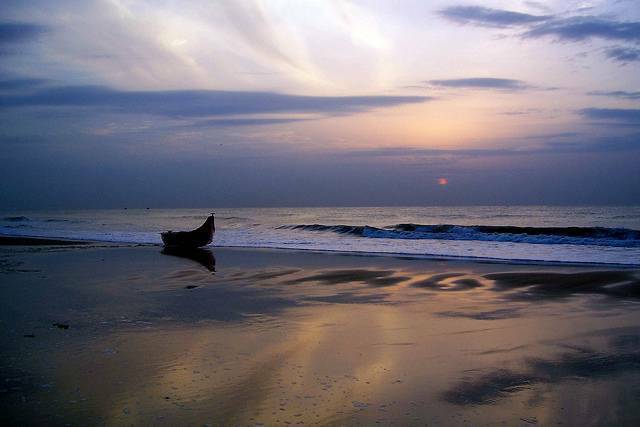 Besant Nagar Beach or Elliot's Beach is one of the cleanest beach in Chennai is located towards south of Marina Beach. Sitting up on golden sand and staring at the endless stretch of sea and sand will uplift the body and soul of the tourists. A monument is built to honor of a Danish Sailor named Karl Schmidt who died while saving a man drowning in the sea in this area and the name of the monument is “Elliots”. One should also visit the various temples and church in its vicinity like Asthalakshmi Temple, Velankanni Church etc Tourists can see a chain of Multi cuisine restaurants lining up the shores of beach. Tourists should check out the New Shangri la, Giorgio, Malaysian Restaurant, and Karaikudi Chettinadu Restaurant etc nearby the beach.